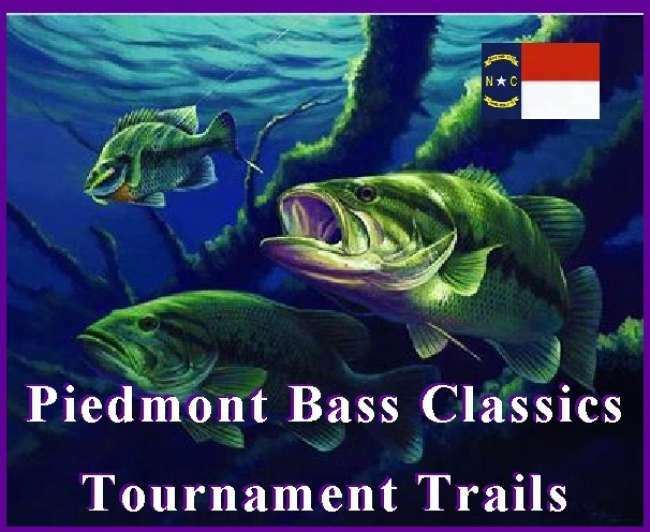 Piedmont Bass Classics..Easter Open! Falls Lake March 26th..this Saturday.. Be There! Easter Weekend & Falls Lake Fishing is Here!!! And the Field is growing and should be big and a great pre-fish day for next Saturday's April 2nd PBC $10,000 qualifier #3 at Falls !! Check it Out !! Weather Underground says 49 for the low and 71 for the high!No rain with 5 to 8 mph winds during the day & 4 mph at weighin !! Can't beat that for March!! Launch Boat 1st...Then Check In...Ramp Entry Starts at 5:30 am.. If you have not fished a tournament before, this is a great chance to get your feet wet in tournament bass fishing and the way the temps have been this week, the fishing should be great !!! Great paybacks and trophies to the winners!!~~! Event Tickets: $10.00 Per Person. Tournament Fee: $100 Per Boat~Max 2 Anglers Per Boat~100% Payback~1 place for every 5 boats. Optional Big Bass Fee: $20 Per Boat~Paying 100% Back~2 Places~70/30 Split. Optional Tournament Within A Tournament (TWT): $50 Per Boat~Paying 100% Back~2 Places~70/30 Split. No membership fees, late entry, sub fees, trophy fees, etc...!! Call me if you have any questions..Hope to see all of you again on Saturday at Falls Lake!! The fish are biting !! !